The fall is the perfect time to cut back bushes, shrubs and flowers. It’s also when you should prune your trees. It’s important that you pay close attention to the trees that are taller than your home. As the summer of storms has proven, it doesn’t take much to bring down a tree onto a house for power line. If you’re not sure how healthy your tree is, then it might be a smart move to bring in a professional to check it out. If you had a very blooming spring and summer, then it’s time to bring those flowerpots inside. Of course, that only pertains to year-round plants. If you replace your plants every year, then empty and clean out the dry pots and put them away for next spring. If you plant bulbs for spring, then this is the best time to get them into the ground. 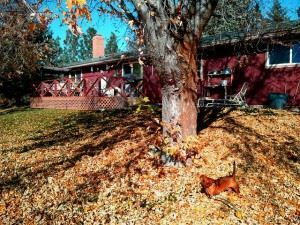 Depending upon the amount of tree coverage you have on your property, raking leaves can be a never-ending battle until winter. But it is a job that needs to be done especially if you plan on fertilizing your lawn. While you are raking the leaves make sure you take the time out to clean your rain gutters as well. If you have a backyard pool, then it’s a good idea to close it down for the season. This might mean draining some of the water and putting the cover on top. You would know best how often your pool freezes over in the winter. If you have seasonal patio furniture, then it’s also a good idea to remove the cushions wash them and then store them in the garage. Hauling away rubbish is another good task for the fall prep but it’s not a job you have to do on your own. Instead, turn that task over the Junk King Nashville. You’ll be provided with a crew and moving truck. This is a team it’s going to do all the work for you. They’ll be able to clear up all your unwanted rubbish in less time than it takes you to enjoy a good cup of coffee. It’s a smart move to make Junk King Nashville your fall prep partner. This entry was posted in Nashville Junk Removal and tagged fall prep, home, leaves, rubbish on August 28, 2017 by Junk King. Last updated August 28, 2017 .